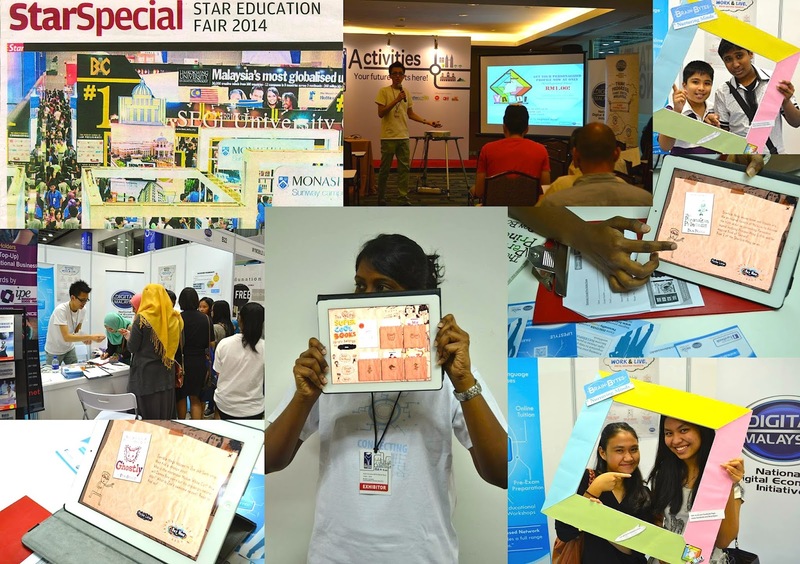 Our education partner in Malaysia BRAIN BYTES just had a great weekend at the STAR EDUCATION FAIR 2014 (14th – 15th June, Booth B22, Hall 4 & 5 KLCC, Kuala Lumpur). They conducted demos for their learning products, especially their personality profiling system for teens, and also spent time showcasing our Super Cool Books iPad app, so that young readers could get a taste of the wonderful adventure stories inside. Brain Bytes has also started distributing a fun electronic kit for young inventors, check out their website for more details. On behalf of Brain Bytes and Super Cool Books, thanks to everyone who dropped by, and we hope to see you again! Meanwhile, we're working on an update for our iPad app, with fresh stories and an exciting new design, so look out for it.